At Beckwood Instrumentation we provide solutions to control requirements across a broad range of industries. We can supply complete turnkey packages of system design, software, manufacture, installation and commissioning, or any of theses elements to suit your needs. Beckwood have been successful in manufacturing electrical and pneumatic control panels in a range industries, some example applications are listed below. 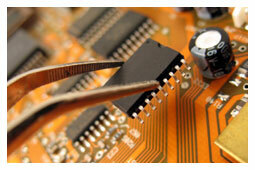 We have an in-house control panel workshop for the assembly and test of control systems and small machinery. 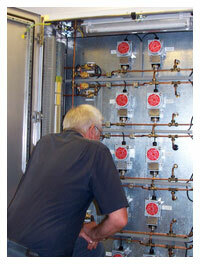 Having had many years experience, the overall appearance of the control panel is important to us. We believe in producing quality and have genuine pride in the control systems we design and build. All control panels are fully tested within our workshop prior to dispatch. All our control panels are built to the highest standards and are fully compliant with the relevant British and European standards and directives. We undertake control system design to our client's instructions and requirements. This includes specification, design, drawings, electrical control panel building, and pre-commission testing of the system. We build sophisticated panels using relay logic, data acquisition technology to basic systems for lesser demands and carry out maintenance, refurbishment and upgrades on existing installations. 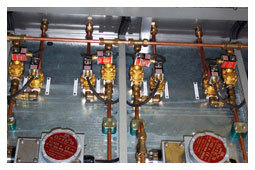 The control panels are usually one-off bespoke systems designed to customer’s requirements and specifications. Applications cover a wide range of industries. Beckwood provide a high level of service and after sales technical support that only a small firm can. We design effective but not over complicated systems that are built with quality components that are engineered to last.